A design flaw in the US Marine Corps version of the F-35 Lightning II, which prevents it from landing on an aircraft carrier, could see the highly advanced vehicle grounded indefinitely. ­The F-35C, also known as the carrier variant of the F-35 Joint Strike Fighter (CV JSF), is one of several fifth-generation fighters developed under the JSF program. New documents reveal that the aircraft has a crucial flaw, which could prevent it from ever being able to land on a vessel. A Pentagon Concurrency Quick Look Review (QLR) of November 2011 says that all eight run-in/rolling tests undertaken at NAS Lakehurst in August 2011 to see if the F-35C could catch a wire with the tail hook have failed. 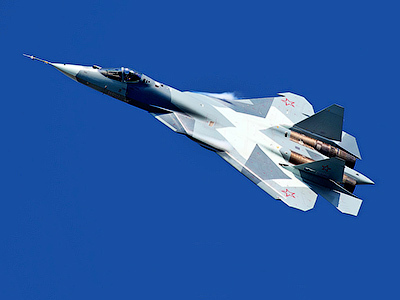 The tail hook is meant to catch one of several wires stretched across the deck, after which a special arresting engine kicks in to quickly slow the aircraft down. In the case of the F-35C, the decades-old trick doesn’t work. The tail hook is located too close to the main landing gear, so the springs supporting the arresting cable don’t have enough time to raise it after the wheels run over it for the hook to engage. Other major problems with the F-35 the QLR mentions are the high latency of the helmet-mounted display, fire hazards associated with emergency fuel-dumping, and the low reliability of the novel Integrated Power Package unit. Constant delays and the skyrocketing costs of the F-35 program make it look like a money pit, according to industry experts. 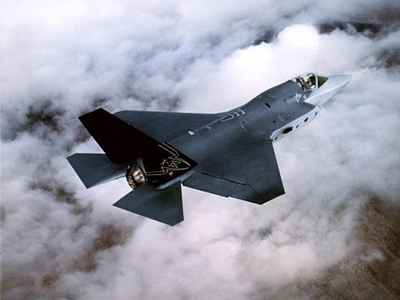 The total development costs of F-35 have exceeded $40 billion and are expected to reach some $56 billion by late 2016. 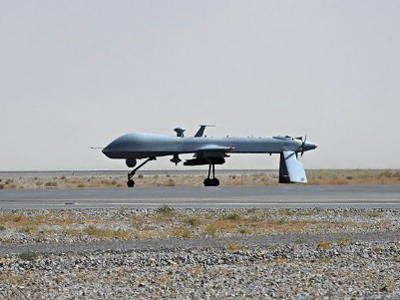 Former US defense secretary Robert Gates expressed the Pentagon's frustration and even mentioned the possibility of the cancelation of the program. The average cost of the F-35 jet has risen to $156 million and the cost estimates for 2,443 aircraft the US intends to purchase is $382 billion. The US is the primary customer and financial backer of the pricey program, but the UK, Italy, the Netherlands, Canada, Turkey, Australia, Norway and Denmark contributed over $4 billion towards the development costs of the program. 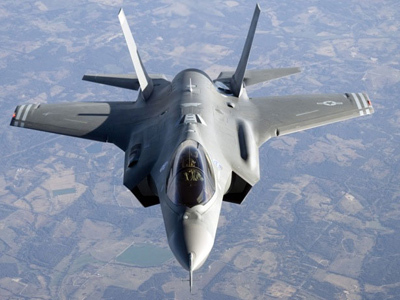 In 2011, after the US military had stated that "no country involved in the development of the jets will have access to the software codes," Turkey put on hold its planned purchase of 100 F-35 jets. All other states taking part in the program also expressed dissatisfaction with that unilateral US decision. The UK specifically indicated they might cancel its entire order of F-35s without access to the coding. A total production quantity of around 3200 is planned for the F-35 program, of which 2443 are intended for the US Air Force, Navy, and Marine Corps. The F-35 is being built in three different main versions to suit various combat missions: the F-35A, a conventional take-off and landing (CTOL) model intended for the US Air Force and other air forces; the F-35B, the short take-off and vertical landing model of the aircraft; and the F-35C, a carrier model that features larger wings with foldable wingtip sections. A fourth model, the F-35I, is an export version for Israel with unique Israeli features installed in them. 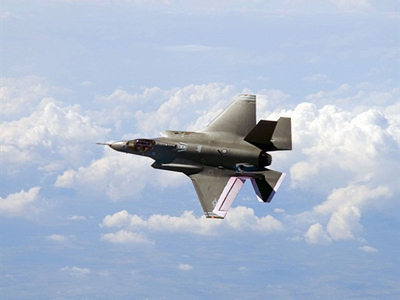 The US had reportedly agreed to allow the Israelis to install their own electronic warfare systems and missiles in their F-35s in the future.